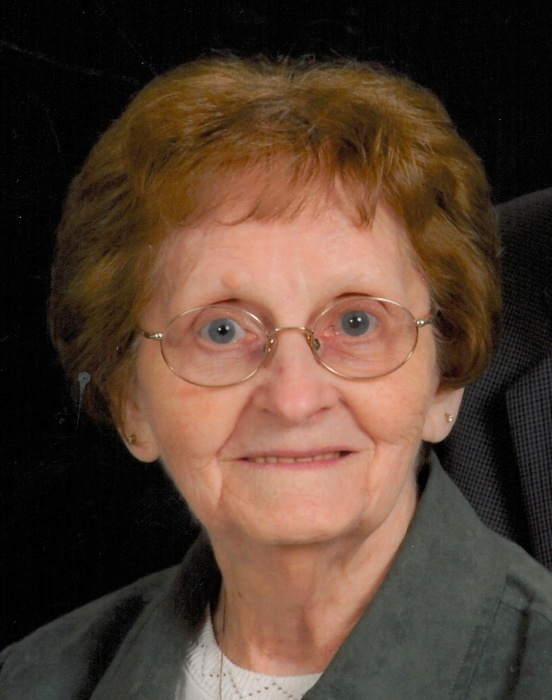 OTTOVILLE -- Evelyn D. Looser, 88, of Ottoville died 3:09 p.m. Friday, January 25, 2019 at Mercy Health St. Rita's Medical Center, Lima. She was born May 14, 1930 to the late Joseph and Lena (Kahle) Nartker. On May 20, 1950 she married Lavern "Chuck" Looser, who preceded her in death on May 2, 2018. Evelyn is preceded in death by a son: Thomas Looser and a daughter-in-law: Darcy Looser; a great-grandchild; 4 brothers: Richard (Elenor) Nartker, Virgil (Lucy) Nartker, Harold (Betty) Nartker and Donald (Betty) Nartker; 5 sisters: Marie (Bill) Brickner, Julie (Jim) Fulks, Thelma (Paul) Snyder, Jean (Pete) Lee and Arlene (Joe) Beining. Evelyn was a homemaker and a member of Immaculate Conception Catholic Church, Ottoville and its Altar Rosary Society. She enjoyed traveling. She had various jobs throughout her life, but especially enjoyed her time at The Gentry. Mass of Christian Burial will be 10:30 am Thursday, January 31, 2019 at Immaculate Conception Catholic Church, Ottoville with the Very Reverend Jerome Schetter officiating. Burial will follow in St. Mary's Cemetery, Ottoville. Visitation will be from 2 to 7 p.m. Wednesday at LOVE-HEITMEYER FUNERAL HOME, Jackson Township, where a scripture service will be held at 1:45 p.m.
Memorial contributions may be made to the American Cancer Society. Online condolences may be expressed at www.lovefuneralhome.com.